Today's useful thing is the Firebug extension for Firefox. If you're a web developer Firebug's an absolute must have. It's like a mechanic's pit for web pages. It lets you get right underneath and have a good tinker with all the elements that make up the page. If it's not already in your developer's toolkit, add it. One little hiccup: Firebug 1.0 has recently been released but a lot of users are experiencing a bug which prevents the styles from being displayed and can only be fixed by uninstalling Firefox and reinstalling it in a new directory. There's a discussion about this on the Firebug blog. I haven't done this yet as I'm hoping a better fix will be found and released soon and I don't fancy reinstalling Firefox. 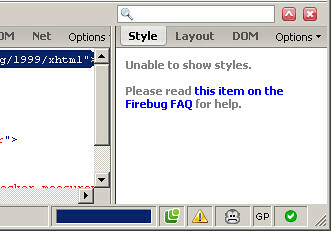 Above: Screenshot showing Firebug 1.0's styles bug in the right hand pane. Despite this, I'd still recommend upgrading if you're still using version 0.4. I like the mechanic's pit alalogy. 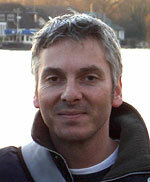 I'm a freelance web developer based in Brighton. I develop web sites and web applications using a variety of technologies including PHP, Python and Plone.